Once in Wales during our 2011 holiday in the UK we set out to visit castles and homes there. Much to the delight of my wife there would be no steam there at last! 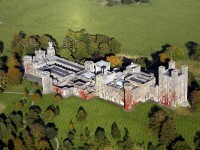 One of our first visits was to Penrhyn Castle. And guess what? There was a steam festival going on!! Sheer coincidence, I swear it! My wife could see the humour of it. 1 Penrhyn Castle is a 19th-century fantasy castle located on the site of an earlier estate dating from 1438. The Pennant family had it built to display their huge wealth from slavery and slate mining. 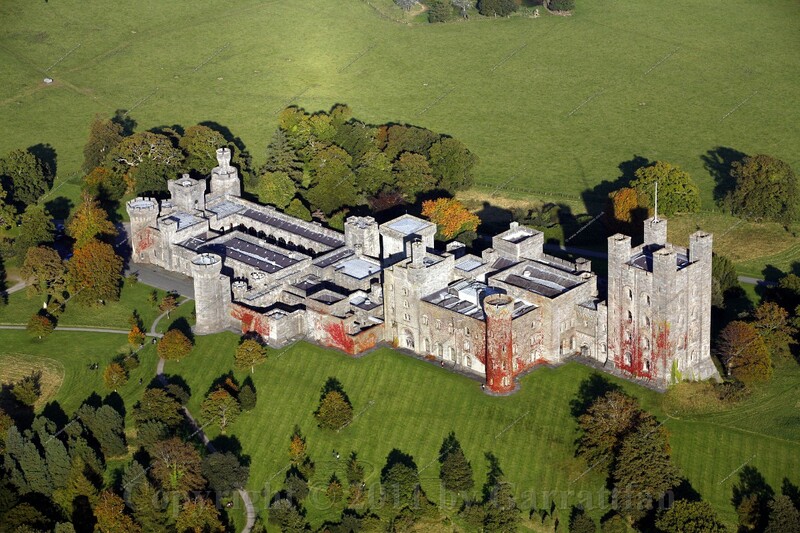 The castle sits between Snowdonia and the Menai Strait and the estate includes 24.3 hectares (60 acres) of grounds include parkland, an exotic tree and shrub collection as well as a Victorian walled garden. © http://www.webbaviation.co.uk/ Please visit them! 2 Outside were the first signs of steam. Aha!! 9 Inside I was greeted by Charles from 1882, a sister engine, or should I say a brother engine, to Linda and Blanche. Amazingly all three members of this class have survived and the two girls are still operational on the Welsh Highland and Ffestiniog Railways. 16 Although the area in which the locomotives are displayed is very well lit, space is at a premium so getting a decent photo is hard. 20 Guess why the wind screen is called a spectacle plate. 26 1848 wow! Railways in the Netherlands had only started nine years before that! 39 From the large Fire Queen we move to this minute De Winton (?) vertical boiler locomotive. De Winton & Co (1854-1901) were engineers in Caernarfon, Wales. They built vertical boilered narrow gauge locomotives for use in Welsh slate mines and other industrial settings.